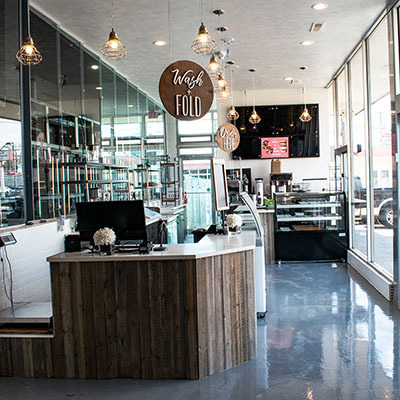 Café featuring Mitchel’s ice cream, fresh pastry and made to order fresh ice cream sandwiches. We will be proudly brewing Caribou coffee. 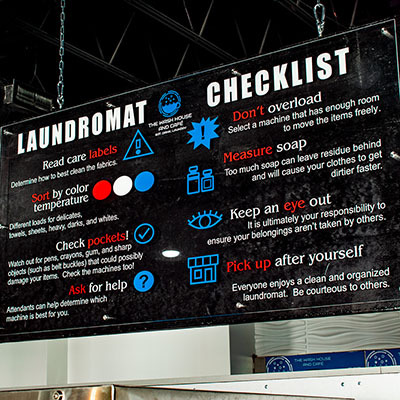 Our mission is to change the face and feel of doing laundry, and the future is bright! 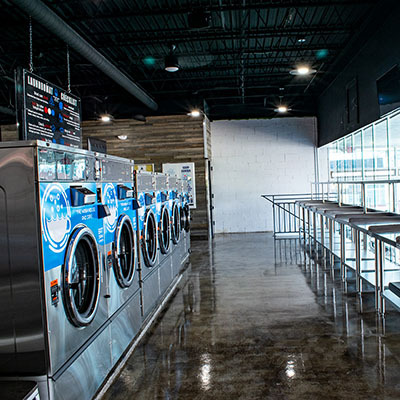 The Wash House and Café is the creative vision of individuals committed to providing an upscale laundry experience from the minute you walk through our doors. 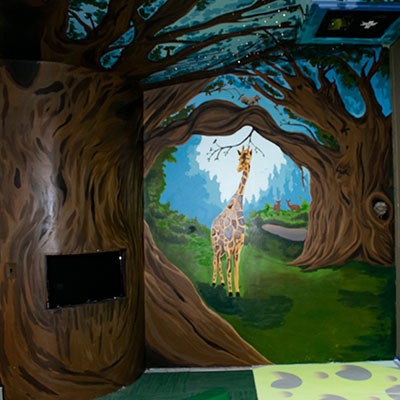 Our locations feature big, clean machines that wash quickly and dry even faster, kid friendly entertainment / play zone and a staff dedicated to making your visit enjoyable. 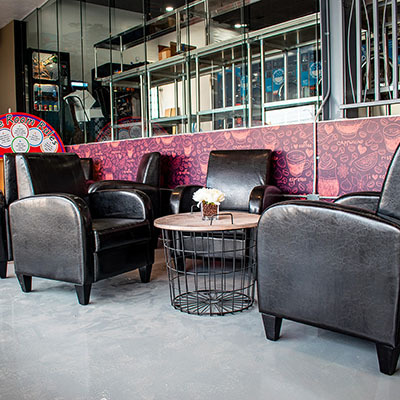 While you're with us, we also provide creature comforts to make your time with us fly by, like free wifi access, flat screen TVs showing the latest programming, fountain drinks, vending machines, and a café serving fresh brewed coffee, fresh locally made pastries and proudly serving Mitchells Ice Cream .Cant Stay? No hard feelings! We also offer wash/dry/fold services with convenient turn-around times and competitive rates. 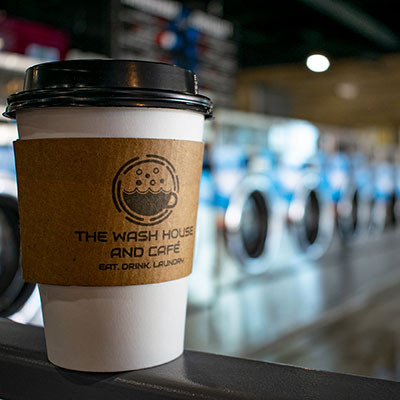 $1.35/pound* The Wash House & Café signature Wash & Fold service is perfect when you've got a mound of dirty laundry, but you haven't got the time. Just drop it off, and we'll do the rest: separate lights from darks, then wash in cold water and dry on medium heat. 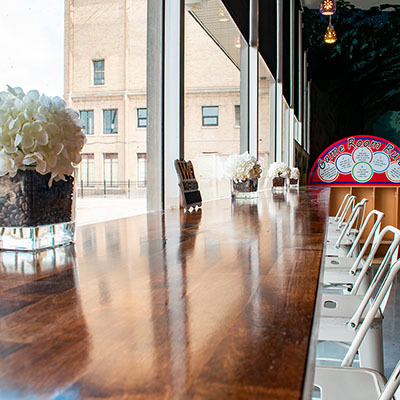 Nellie's All Natural Laundry Soda, Oxygen Brightener and Wool Dryer Balls clean without a trace of harsh chemicals or irritating fragrances. All items will be ready and waiting within 48 hours - clean, dry, folded. *Express service: $2.35/pound and ready the same day. $5 separate load fee applies if separating into more than two loads (delicates, athletic wear, sheets / towels, etc. must be dropped off pre-sorted). There is a 15 pound minimum for all wash and fold orders. Items below are priced individually. Don't see your item on the list? 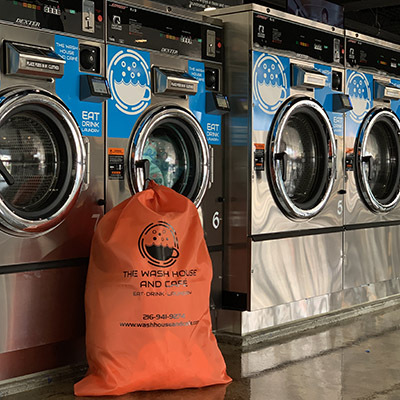 Give us a call - we'll discuss your laundry needs and give you a personalized quote! 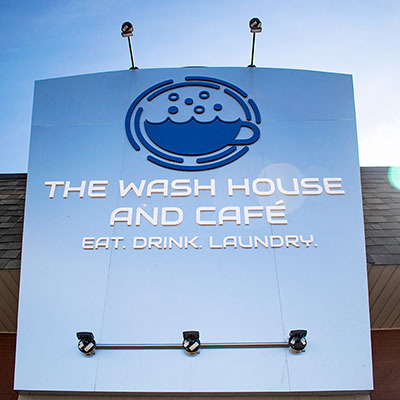 Let The Wash House & Café do your business laundry. 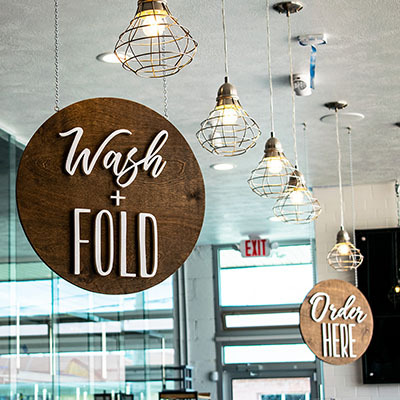 Simply fill out our Business Wash & Fold Inquiry Form and we'll get back to you with pricing and options based on your company's needs. 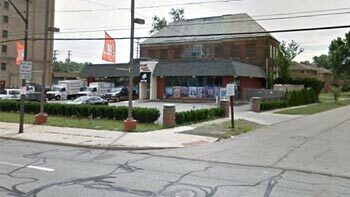 All business laundry accounts must be verified and approved before dropping off. 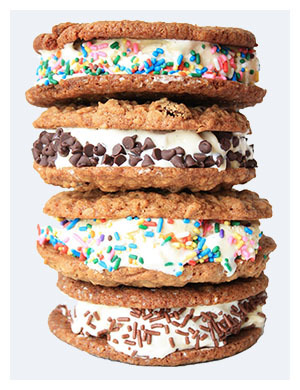 Almonds, sprinkles, marshmallow, Oreos, Fruity Pebbles, coconut flakes, chocolate shavings, strawberries, blueberries, chocolate syrup, caramel, Nutella, Whip cream, and hot fudge. 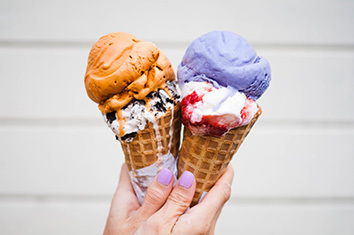 We're happy to answer all your questions! Contact us today.